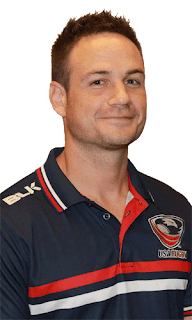 USA Rugby Youth and High School Director Kurt Weaver is well-grounded in our game. As manager of our most precious commodity, our youth, Weaver is responsible for facets of development that pertain to those players not enrolled in college under the age of 19 years – boys, girls, and emerging men and women - a current census of near 400,000 from 450,000+ total players (well above 85% of the count of players registered nationwide). He continued rugby post high school at Bowling Green University and graduated from that austere institution with his major political science, then became involved in the structuring and implementation of political and issue campaigns. Weaver also functioned as a fundraiser for nearly a decade. Kurt also helped his brother Steven launch his business, thecandlelab.com, opening four candle shops in Columbus, an endeavor which he recalls as, “A wonderful education in retail America… an amazing enterprise and an experience I deeply value.” Look for a Candle Lab nearby in the future as the company has gone national and Colorado is one of its target growth areas. Therefore he sees the worth in cogent, working relationships with state-based organs, the SROs. “Long term, my goal is to build 50 state organizations that have full-time staff governing and growing the game in every school, organization and community. This job cannot be done from the national office and strong state organizations are the future of our success. I never worry about pathways or developing elite players, because the USA knows how to do that better than anywhere else in the world. What the rugby community needs to focus on for the next 10 years is simply casting a wider net to the next million kids. If we do that, we win gold in the Olympics and the World Cup.” Lofty goals? Sure, but achievable one would think if our state and national bodies collaborate effectively for the good of the young player; the goal is not to establish a single person and promote that individual’s ego-enhancement protocol. 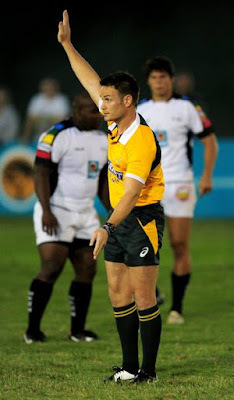 When it comes to USA Rugby in general and its current play? “The first thing is stop saying ‘USA Rugby should do <insert thing or idea here>’ or ‘Why isn’t USA Rugby doing <Insert thing>?’. That is the most dangerous statement I hear. Every person who picks up a ball is USA Rugby. · When you have an idea, do it! · When you think of something that should be done, do it! The power of one individual working consistently and coherently to bring a handful of novitiates into our game is absolutely priceless… and very much solution-oriented! 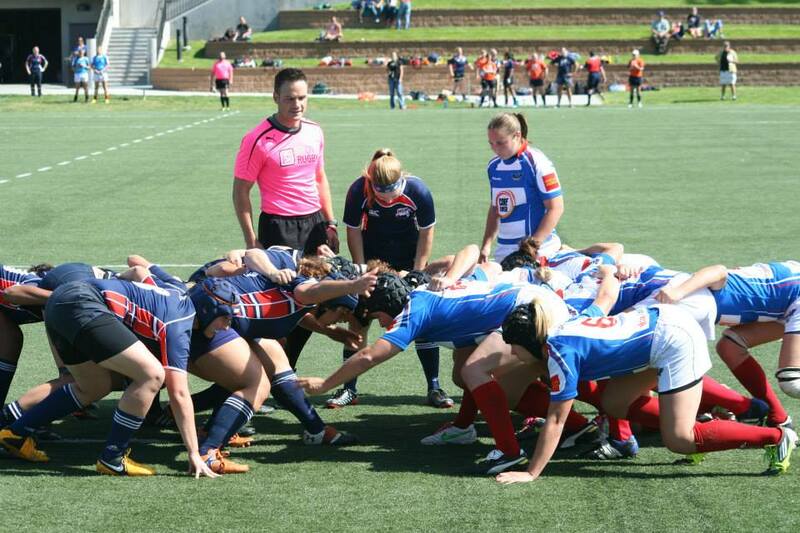 Fundraising by USA Rugby is in its infancy, yet it is making inroads. “This is a slow process,” reports Weaver, “but it is growing. We still need to train American rugby players that giving to the game is a good thing. I have been sitting in a room where members are confronting me about getting solicited by our fundraising team to support USAR, but in the same conversation it comes out that they run 5ks for charity, or donate to their university each year or some other organization (or spend $100+ at a gridiron game! – ed.). 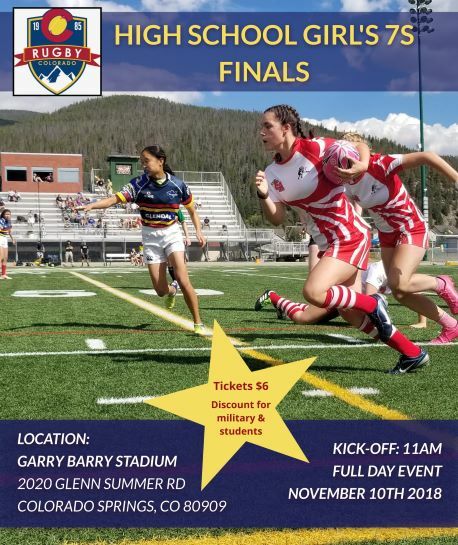 Rugby is worth your financial contribution, but rugby needs to make that case and provide results… we must show success both on the field and administratively,” he concludes. 2023 will see rugby’s Bicentennial and Weaver is cautiously optimistic of the US placement on the world stage at that time: “If we believe our own press and relax, because we have been told we are the fastest growing sport, we will be exactly where we are today. If we do not allow standards to be raised, we will be exactly where we are today. If we fight against policies or rules that make us better, we will be exactly where we are today. It is a dangerous time for us. Will we rest on our positive press? Or double down on our work and know this is the tip of what could be a massive iceberg of rugby growth?” These are the questions that the men and women of USA Rugby strive mightily to determine answers for and extrapolations of, so that our game does not lay back upon its spacious laurels, dissipate and diminish itself. Memories, another rugby side to Mr. Weaver, and Christmas! When asked to state his best rugby memory thus far, Weaver is uncharacteristically nonplussed: “This (question) is a tough one. Each of my rugby lives has given me experiences that I cherish… making my first tackle in high school rugby was monumental to me… losing to Army in the sweet 16 in 2001, but being so proud of our team… seeing the light after hearing Jeff Arker talk about starting state organizations across the country at Nashville in 2006… a tearful hug from an exhausted U20 national team player after assistant- coaching them to victory over Canada in the Bahamas… receiving a letter from a mother about how we saved her daughter’s life by introducing her to rugby in 2013… and finally refereeing this year in historic Ellis Park in South Africa, and refereeing the USA v Harlequins in PPL Park at the end of August. 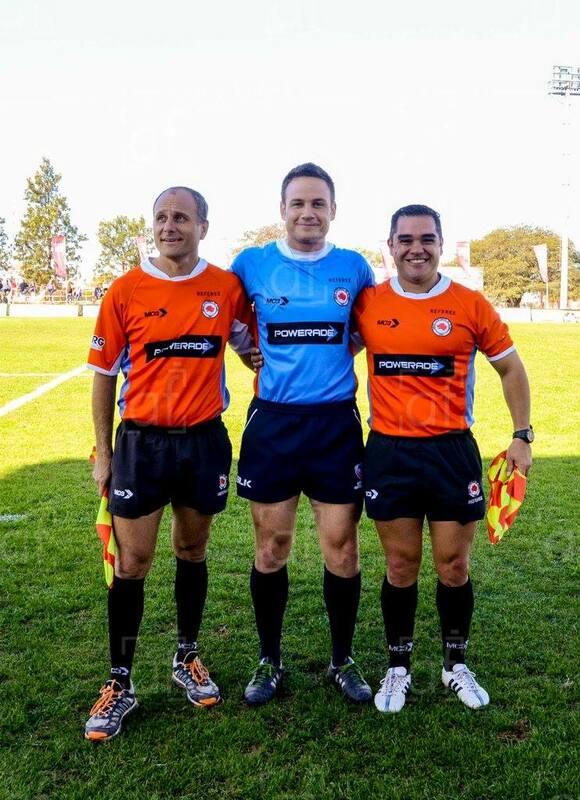 Speaking of the administration of rugby law on the pitch, Mr. Weaver is also, in the words of Old Blue Director of Rugby and USA Rugby 2014 Men’s Coach of the Year, Steve Lewis, “the top referee in America. His rapport with players is estimable and he always makes himself available to coaches post-game,” for illumination and explanation, two critical aspects of the game that nurture respect and promote knowledge. 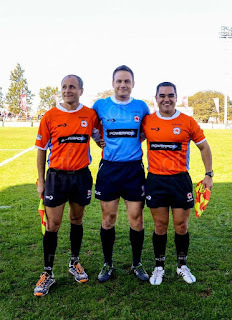 With Weaver’s well-completed assignment of the Eagles v Harlequins match this past summer, he is on World Rugby’s radar to officiate international games. So, even though he has scaled the heights nationally, for Kurt Weaver, his (Eagle-filled) sky is still long and limitless.